After a grey dawn, sometimes for a few moments the sun shines in sideways under the clouds, and the hidden glory of the world is revealed. 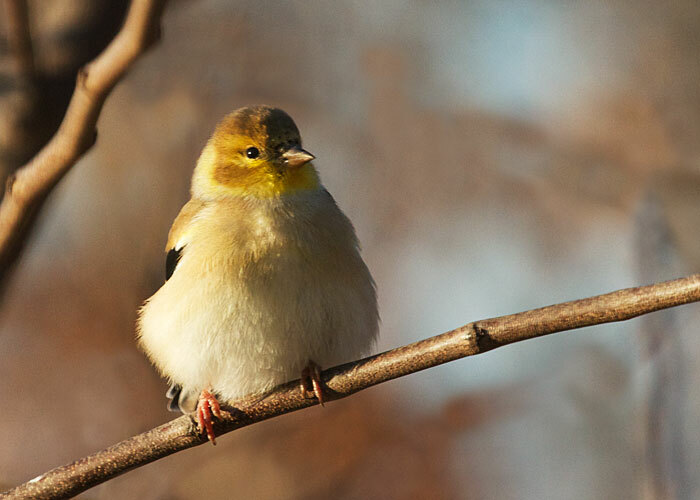 No, this American goldfinch enjoying the sunlight with me has not been overeating and under-exercising. He's just puffed out his feathers to stay warm in the chilly morning air. 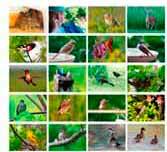 All a person needs to start watching birds is a bird book, a binocular, and a some tips on how to identify what you see. The Big-Step-Up Birdwatching Starter Kit gets a budding birder off to a great start. At $129.85, the kit saves $20 off buying the items one by one.